Berrien Minute Men, Company D, was the second of two companies of men raised in Berrien County, GA during the Civil War. The campfires of the Berrien Minute Men were made with the 29th Georgia Regiment. ARMY OF TENNESSEE C. S. A.
Lamb, John C., Captain October 1, 1861. See Private, enlisted, Co. C.
Staten, James W., 1st Lieutenant November 20, 1861. Retired May 7, 1862. Elected Captain of Staten’s Company, 11th Regiment GA State Guards Cavalry (6 months troops), August 4, 1863. Mustered out, expiration term of service, about February 1864. Appointed on Relief Committee and served in that capacity until close of war. Parrish, Joel J., 2d Lieutenant November 7, 1861. See 3d Sergeant, Co. C.
Knight, Jonathan D., Jr. 2d Lieutenant November 7, 1861. See Private, enlisted , Co. C.
Knight, William W., 2d Sergeant October 1,1861. Died of chronic diarrhoea at Milltown, GA December 27, 1863. 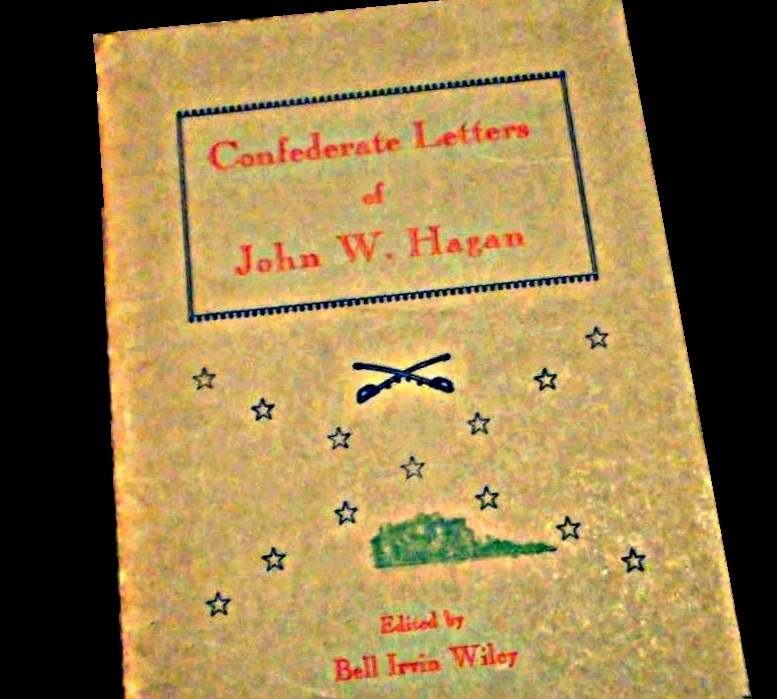 Hagan, John W., 3d Sergeant October 1, 1861. Captured near Atlanta, GA July 22, 1864. Paroled at Camp Chase, OH and transferred to City Point, VA for exchange, March 4, 1865. Received at Boulware & Cox’s Wharves, James River, VA, March 10-12, 1865. No later record. Millican, Thomas J., 4th Sergeant October 1, 1861. Discharged by civil authority at Savannah, GA August 19, 1862. Money, John A., 1st Corporal October 1, 1861. Discharged at Causton’s Bluff, GA June 9, 1862. Enlisted as a Private, enlisted in CO. H, 4th Regiment GA Cavalry (Clinch’s), September 1, 1863. Roll for June 1864, last on file, shows him present. No later record. Parrish, Henry E., 2d Corporal November 4, 1861. Died of typhoid fever at Lauderdale Springs, MS September 8, 1863. Knight, Barzilla, 3d Corporal November 4, 1861. Elected Jr. 2d Lieutenant May 7, 1862; 1st Lieutenant May 13, 1862. Killed at Chickamauga, GA September 19, 1863. Baldree, James H., Private, enlisted December 21, 1861. Died of pneumonia at Florence, SC January 2, 1863. Barker, John T., Private, enlisted December 13, 1861. Captured at Nashville, TN December 14, 1864. Released at Camp Douglas, IL June 18, 1865. Brown, James J., Private, enlisted December 25, 1861. Died of camp fever at Savannah, GA April 14, 1862. Browning, Pierre (or Perry), Private. Captured at Franklin, TN December 17, 1864. Forwarded to Camp Chase, OH January 14, 1865, and died there of pneumonia February 12, 1865. Grave #1206, Camp Chase Confederate Cemetery. Chapman, Elbert J., Private, enlisted October 1, 1861. On furlough December 31, 1861. Absent without leave December 31, 1862. Delivered to headquarters of regiment as a deserter May 30, 1863. Executed by firing squad. Clements, John C., Private, enlisted October 1, 1861. On sick leave December 31, 1861. Wounded at Jonesboro, GA August 31, 1864. Paroled at Thomasville, GA May 25, 1865. Couey, Samuel, Private, enlisted 1862. Captured near Nashville, TN December 16, 1864. Released at Camp Douglas, IL June 18, 1865. Cowart, William, Private, enlisted November 21, 1861. Discharged at Causton’s Bluff, GA June 26, 1862. Cox, Thomas W., Private, enlisted March 18, 1862. On duty as teamster December 31, 1862. No later record. Garrett, Benjamin S., Private, enlisted October 1, 1861. Giddens, Hardeman, Private, enlisted November 4, 1861. On extra duty as mail carrier October 31, 1862. On special duty at Camp Young December 31, 1862. No later record. Giddens, Isbin B., Private, enlisted October 1, 1861. Roll for December 31, 1861, last on file, shows him present. No later record. Giddens, John, Private, enlisted October 1, 1861. Died at Savannah, GA September 19, 1862. Giddens, John W., Private, enlisted October 1, 1861. Died of camp fever at Savannah, GA April 2, 1862. Giddens, William H., Private, enlisted October 1, 1861. Died of pneumonia at Springfield, GA September 14, 1862. Griffin, John M., Private, enlisted October 1, 1861. Appointed Sergeant in 1861. Roll for December 31, 1861, last on file, shows him on sick leave. No later record. Harrell, Hiram F., Private, enlisted October 1, 1861. Died of measles at Darien, GA February 4, 1863. Herndon, John, Private, enlisted December 25, 1861. Killed at Chickamauga, GA September 19, 1863. Hodges, Jesse (or Hodge), Private, enlisted October 1, 1861. On expired sick furlough October 31, 1862. Pension records show he was captured at Nashville, TN December 16, 1864, and sent to Camp Chase, OH or to Camp Douglas, IL No later record. Died in Berrien County, GA December 7, 1893. Hodges, William (or Hodge), Private, enlisted October 1, 1861. Captured at Nashville, TN December 16, 1864. Died of pneumonia at Camp Chase, OH January 26, 1865. Grave #901, Camp Chase Confederate Cemetery. September 30, 1862. Admitted to St. Mary’s Hospital at LaGrange, GA June 19, 1864. Killed at Murfreesboro, TN December 7, 1864. Johnson, Jarred, Private, enlisted December 5, 1861. Discharged on account of chronic rheumatism at Causton’s Bluff, GA, July 19, 1862. Lastinger, Elias, Private, enlisted October 1, 1861. At Camp Young on special duty December 31, 1862. Killed at Peachtree Creek, GA July 20, 1864. Luke, Jasper M., Private, enlisted October 1, 1861. Received pay for services from October 1, 1861, to February 7, 1862, on May 2, 1862, and was discharged, disability, date not given. Luke, John B., Private, enlisted October 1, 1861. On detail, nurse in hospital, December 30, 1862. No later record. Mainer, Lovett B., Private, enlisted December 5, 1861. Died of chronic diarrhoea in Lowndes County, GA December 5, 1863. Marks, Jacob, Private, enlisted October 1, 1861. Absent, sick, June 1862. Pension records show he was wounded and permanently disabled at Chickamauga, GA September 19, 1863. McCranie, Neil, Private, enlisted November 4, 1861. Died of pneumonia at Yazoo City, MS June 7, 1863. McCutcheon, John, Private, enlisted October 1, 1861. Paroled at Thomasville, GA May 20, 1865. McDermid, Angus, Private, enlisted October 1, 1861. On furlough September 30, 1862. Killed at Murfreesboro, TN December 7, 1864. McNabb, Daniel R., Private, enlisted October 1, 1861. Wounded at Chickamauga, GA September 19, 1863. Died of wounds near Dalton, GA September 22, 1863. Morris, Edward, Private, enlisted October 1, 1861. Died of camp fever and measles at Savannah, GA March 5 or 15, 1862. Nickens, William W., Private, enlisted October 5, 1861. Died at Mont- gomery, ALA October 3, 1863. O’Neil, James L., Private, enlisted October 1, 1861. Absent, sick, December 31, 1862. In French’s Division Hospital at Lockhart, MS August 31, 1863. No later record. Parrish, John A., Private, enlisted November 1, 1861. Absent, sick, December 31, 1861. In Convalescent Camp August 31, 1862. Wounded at Pine Mountain, GA June 14, 1864. Never returned to command. Parrish, Redding B., Private, enlisted October 1, 1861. Died of measles at Darien, GA December 17, 1861. Patterson, John R., Private, enlisted October 1, 1861. Appointed Sergeant. Wounded near Atlanta, GA August 1864. Died in Ford (or Foard) Hospital at Forsyth, GA August 14, 1864. Peeples, Joseph H., Private, enlisted October 1, 1861. Died of chronic diarrhoea at Lauderdale Spring, MS September 10, 1863. Peeples, William H., Private, enlisted October 1, 1861. Paroled at Thomasville, GA May 25, 1865. Pounds, James D., Private, enlisted October 1, 1861. Appointed Sergeant. Captured near Atlanta, GA July 22, 1864. Paroled at Camp Chase, OH and transferred to City Point, VA for exchange, March 4, 1865. Received at Boulware & Cox’s Wharves, James River, VA, March 10-12, 1865. No later record. Sirmans, William S., Private, enlisted October 1, 1861. Captured at Atlanta, GA July 22, 1864. Paroled at Camp Chase, OH and sent via New Orleans, LA for exchange, May 2, 1865. Strickland, Elias, Private, enlisted October 1, 1861. On extra duty as teamster September 1862. No later record. Pension records show he contracted pneumonia on march with General Hood into TN Died at home. Strickland, Joseph, Private, enlisted October 1, 1861. Discharged by civil authority at Camp Young November 26, 1861. Tomlinson, Jonas, Private, enlisted November 21, 1861. Elected Lieutenant. Captured at Decatur, GA July 22, 1864. Released at Johnson’s Island, OH June 15, 1865. Tomlinson, Leonard H., Private, enlisted November 21, 1861. Absent, sick, December 30, 1862. No later record. Tomlinson, Samuel, Private, enlisted November 21, 1861. Wounded in right eye, resulting in loss of sight, and captured at Nashville, TN December 16, 1864. Released at Camp Chase, OH June 12, 1865. Touchstone, Charles S., Private, enlisted December 25, 1861. Discharged by civil authority at Camp Young November 28, 1862. Enlisted as a Private, enlisted in Co. H, 4th Regiment GA Cavalry (Clinch’s), September 20, 1863. Appointed 2d Sergeant. Paroled at Thomasville, GA May 10, 1865. Touchstone, Richard, See Private, enlisted , Co. C.
Watkins, W. F., Enlisted as a Private, enlisted in Co. D, 2d Battalion. GA Cavalry December 3, 1861. Transferred to Co. D, 29th Regiment GA Infantry January 7, 1862. Wheeler, Evans, Private, enlisted November 4, 1861. Roll for December 31, 1861, last on file, shows him present. No later record. Wheeler, William W., Private, enlisted October 1, 1861. Captured at Nashville, TN December 16, 1864. Paroled at Camp Chase, OH and sent via New Orleans, LA for exchange, May 2, 1865. Received at Vicksburg, MS May 12, 1865. Williams, Joshua, Private, enlisted October 1, 1861. Deserted at Camp Young, December 28, 1862.